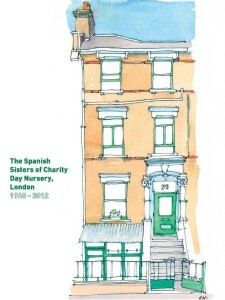 The Spanish Sisters came to London over 45 years ago to help single Spanish young women who were alone and vulnerable in London. They supported them to integrate in the community, learn the language, and find employment. Some of them were mothers, and as they went to work, the Sisters looked after their children. Over time this developed into a Day Nursery. For over 45 years, the Spanish Sisters of Charity helped raise children with love and unswerving dedication. They developed an ethos where children felt safe and secure, valued and unique. 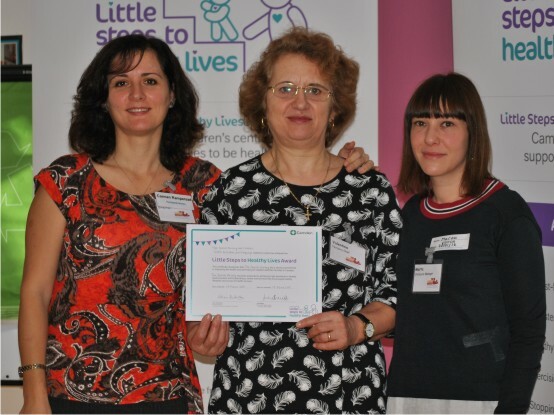 The Spanish Sisters of Charity Day Nursery closed its doors in July 2012 as the Sisters returned to Spain to continue their mission to help others in need. The Spanish Nursery and Children's Centre for Culture and Language was opened in recognition of their amazing work and with the desire to continue their incredible service to children and their families. All our staff are native Spanish speakers and are fluent in English. We pride with the level of the knowledge and expertise our staff show: most of our staff are Qualified Teachers at degree level or at least NVQ Level 3 and have significant experience in similar settings in Spain and UK. All our staff have current enhanced DBS checks, Paediatric First Aid and Child Protection Training as a minimum. We consider continuous professional training vital to improving the quality of our services and all our staff attend regular relevant training. The Spanish Nursery operates a 'key person system' for all children under the age of 5 years. Before a child starts, a key person will be appointed from the group in which they are based. The key person ensures that the child's care needs (toileting, food, drink etc) are met on a daily basis, that they have equal access and are fully included within the Centre. The key person carries out regular observations on the child which forms part of their individual Achievement Report to ensure they are developing appropriately. The project was developed in June 2011 by Carmen Rampersad and Aliette Fenton-Sharp – whose children attended the Spanish Sisters of Charity Day Nursery (with the help and support of many of the other parents and staff - for which we are very grateful). In January 2017, Aliette Fenton Sharp stepped down as a Director of The Nursery and Carmen Rampersad remained the sole owner and Director. 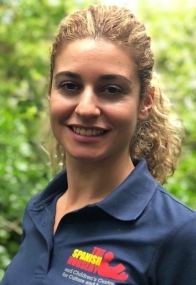 Carmen’s background is in statutory child protection, safeguarding children’s welfare and quality assurance and for the last 15 years has occupied various management positions in a London Local Authority. 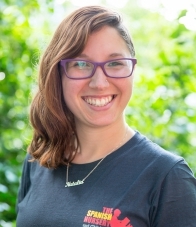 As an independent consultant, Carmen has taught the child protection module for Early Years practitioners who complete their Early Years Degree at London Metropolitan University. Marta Paola Cebolla Fuertes has a Degree in Pedagogy obtained in Spain. She also has specific qualifications and experience for Special Educational Needs. She has experience working with children who have Attention Deficit Disorder (with or without the hyperactive element). She is calm, patient and carrying, highly skilled in managing the team and promoting the best outcomes for our children. She is driven by the children’s achievements and strives to provide the best environment for our children to grow. She drives a curriculum which puts a strong emphasis on formation of strong attachments and happy children. She is thoughtful and considerate, extremely patient with children and has a strong sense of fairness which she instils in the children and staff alike. 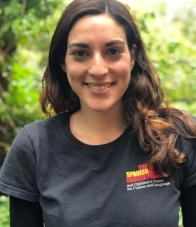 Natalia Barcelo is our Deputy Childcare Manager. She graduated as a Primary Education Teacher from Universidad Complutense (Madrid) and also has a Master's Degree in Special Education. Natalia has a lovely personality, she is very cheerful and patient, she is very dedicated to our children and she always thinks of others before thinking of herself. She takes the lead in preparing and delivering The Spanish Club activities. 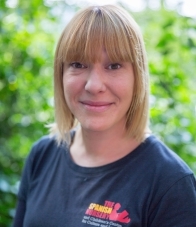 In her spare time, Natalia works as a leisure coach working with children and elderly people. She loves arts and crafts, painting and reading. 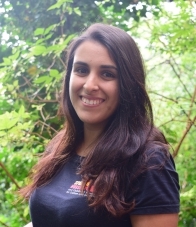 Natalia is always willing to lend a hand and loves challenging children to help develop problem solving skills. Sergio Pacheco Sanchez has a degree in Childhood Education gained at University of Granada. He has experience working with children ages 0-5 as well as primary school children. 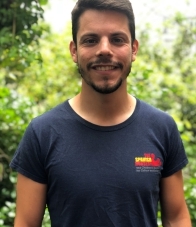 Sergio is passionate about working with children of different ages and abilities and to utilize a variety of methods to support his teaching. He enjoys music, painting, running and playing guitar. He is enthusiastic, creative, very warm and engaging with children. He also has a very good voice and loves singing to our children. 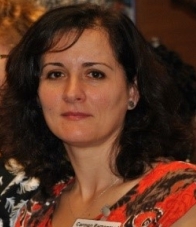 Ana Anguita Melgarejo is NVQ Level 3 qualified and specializes in children’s social integration. Ana’s experience is with children ages 3 months to 4 years old and has worked in summer camps and various nurseries in the past. Ana is very calm and engages naturally very well with the children. She is very creative, making theatre performances to the kids, telling stories and singing. She is very good at supporting children to express themselves through art and dance. Cristina Rubio Soliva has a Master’s Degree in Teaching Training for Secondary Education, Vocational Education & Language Teaching from the University of Valencia, and will also be awarded the Level 3 Early Years Educator Degree from Westminster Kingsway College in June 2018. Her experience is working with children from a range of ages from 0 to 12 years old. Cristina loves swimming, cooking, and reading. She is a caring and patient teacher and is passionate about supporting children to learn happily and reach their potential. Raquel Pena Jaen obtained a Degree in Early Years at Universitat Autonoma de Barcelona in 2015. She worked with children from 1 year old to statutory school age in a variety of educational settings. Raquel approaches tasks with an open mind and energy. She loves to sing, is very creative and passionate to support children’s development through play. Vicent Llorens Bargues graduated as Nursery School Teacher and Pedagogy of children with Specific Educational Needs and Attention Deficit Disorder from Universidad Católica de Valencia. 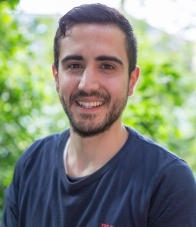 Vicent loves sports and is keen to promote the children’s personal and educational development through games. He enjoys music, especially the piano, and has complete a course in Music Therapy. 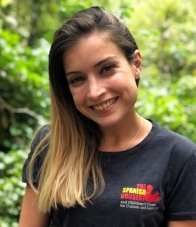 Pastora Sastre Bullón graduated from Ceu Andalucia University in 2011 and has experience working with children between 6 -7 years old in Spain as well as nursery age children in London at another private nursery. Pastora is responsible, enthusiastic, creative and patient. She likes dancing, theatre and riding horses and is not a fan of extreme sports. She is motivated to support children’s journey through their childhood education, guiding them as they discover the world around them. TSN accepts childcare vouchers towards the costs of the fees (nursery, after school and holiday schemes). Most childcare providers are accepted: Fideliti, EdenRed, Kiddivouchers and KidsUnlimited. We also receive funding for 15h and 30h Universal 3 and 4 year olds scheme for qualifying children (terms and conditions apply). The universal entitlement is available the term after the child turns 3 and is available term time only. Siblings have priority admission and 15% sibling discount (from the lowest fees) if they attend the same provision at the same time. If parents refer us to a family, a 10% referral discount for the first 2 months applies to both families upon taking a placement with The Spanish Nursery. The discount is available only for 1 child of the family (the lowest fee). TSN operates an open door practice. Parents and carers can contact the staff at any time to discuss any issues related to their child or their family. The Director is also available for appointments. TSN updated the Data Protection policy to reflect the changes in the GDPR (General Data Protection Regulations, 2018) and parents are asked to carefully read our GDPR Statement before enroling the child in our care. We welcome parents’ involvement in various projects in the nursery. Parents are invited to share their particular skill or interest with our children, like reading books, playing an instrument, singing, cooking, joining us for weekly library trips, doing photo workshop, etc. Please ask the office for a copy of the Parents as Partners policy. The Centre operates a comprehensive Child Protection procedure under which every staff has a duty to report concerns and share information with the Local Authority if there are safeguarding concerns about a child in the Centre. We will endeavour to always ask for the parent/carer’s consent before any information is shared however when/if there are reasons to believe that a child is put at further risk/likelihood of risk of significant harm by sharing the information with the parents/carers, than staff are under London Child Protection Procedures duty to report such information without the parent’s consent. (For a copy of the child protection procedures please contact the main office). The OFSTED report on the inspection held at The Spanish Nursery and Children’s Centre for Culture and Language on April 2016 is now available on OFSTED’s website. You can access it here: https://reports.ofsted.gov.uk/inspection-reports/find-inspection-report/provider/CARE/EY453063. We feel that fresh, home-made nutritious food is the best for children’s development. The food is prepared daily onsite by our cook who has appropriate qualifications and experience. Our cook won the "Little Steps to Healthy Lives" Award every year since February 2014. 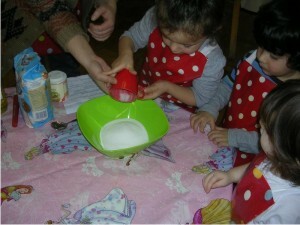 We like to guide children to experiment with ingredients, textures and different materials. We are engaging children in cooking together and they enjoy the end result. Birthdays are always celebrated at TSN and we welcome parents to bring a fruit based cake to share with the 3pm snack (please do not bring nuts in the Centre in case of severe allergies). We strongly believe in the importance of meals as social events and sharing food. 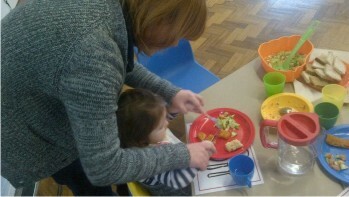 Our staff sit together with the children sharing the same food. We invite parents to have lunch with us and the children, especially during the settling in period. The food we are serving is meeting the guidelines set by the Children's Food Trust (Voluntary Food and Drink guidelines for Early Years). These guidelines can be found at: https://www.childrensfoodtrust.org.uk/resources/ebsb-resources/guidelines »». • Reviewing the food policy once a year together with the rest of the policies and procedures.